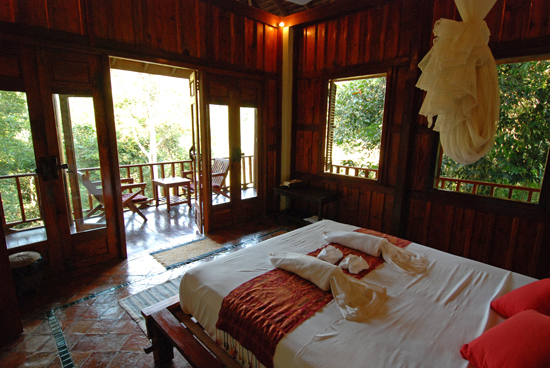 If you want to experience a little of Laos’ wilderness and nature without having to travel far from Luang Prabang, a getaway to Zen Namkhan Boutique Resort is a great choice. Just 13 kilometres from the town centre, the resort is surrounded by forest and overlooks a stunning mountain landscape. 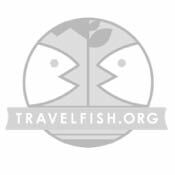 Average rating 9.1 from 127 reviews. This resort is a place to find peace, quiet and nature. It really is not for everyone. If you’re uncomfortable with wilderness, geckos, no TV or WiFi in your room and being alone with your own thoughts, this place isn’t for you. The bungalow villas are the best. They’re spacious, private and have a huge balcony that looks out onto the river and mountains. You can sit, listen to the silence and watch fishermen drift by (and maybe even the odd elephant). The entire front of the villa can be opened up so you can soak up the view from the inside – or from the outdoor shower. All the basic hotel amenities are included: tea/coffee, toiletries, air-con and minibar. 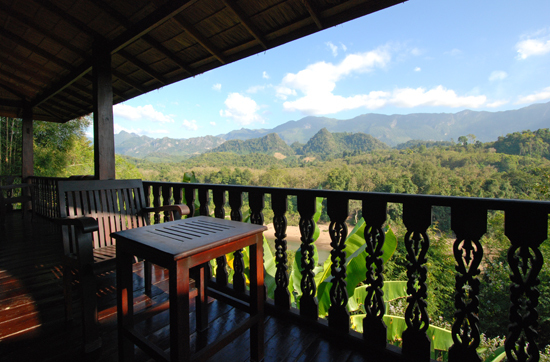 Stunning view of the mountains and Nam Khan River. 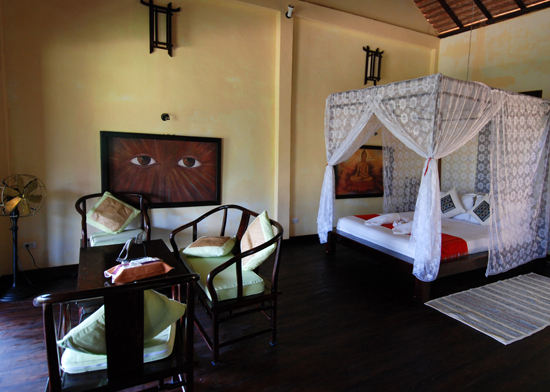 Superior rooms feel more rustic than the bungalows and are smaller. They still have a balcony but no river view. The tile floors and the natural wood walls make the interiors darker. The bathrooms are quite small. Superior Rooms are small and more rustic. Two of the superiors are fan-only but you’ll find the temperatures much cooler here up in the mountains so all you need is to open the windows and use the mosquito net. Remember to bring warm clothes for December and January, when nighttime temperatures to drop to single digits. The central dining area and lobby with a small lounge on top. There’s a restaurant dining area with WiFi and comfortable chairs overlooking the pool, some loungers and a second floor living area. The naturally-cleaned infinity pool overlooks beautiful mountains that resemble two elephants facing each other. 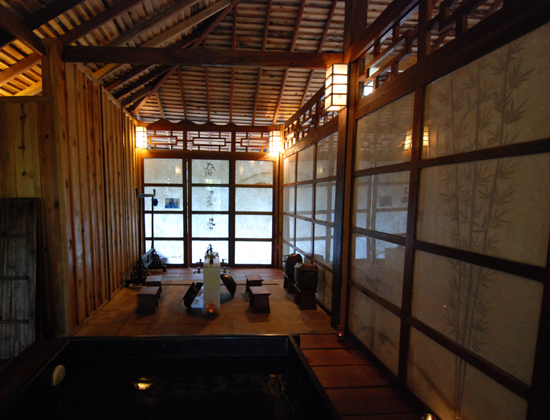 There’s also a very zen-looking Japanese bath beside a pond in a secluded part of the property. Order it in advance and they can fill and heat it up for you. Feeling zen at the Japanese bath. 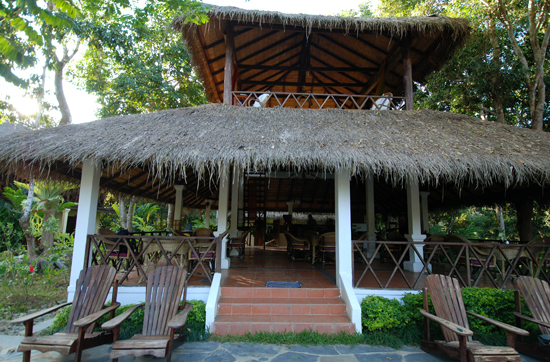 Zen Namkhan is located on the Nam Khan River, on the same stretch as Lao Spirit Resort. Tad Se Waterfall is only a short boat ride away. Hikes and village visits can be arranged and the resort has a kayak. Kayaking the Nam Khan is an amazing experience, and not to be missed if you’re a confident paddler. 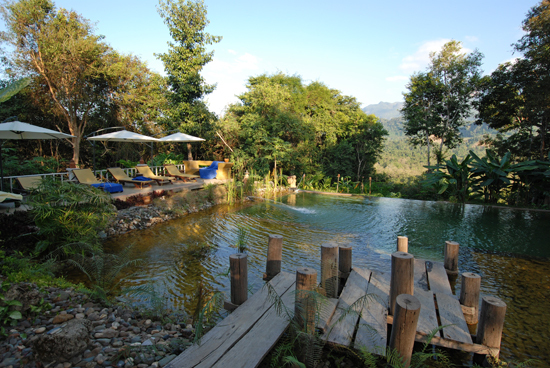 Or be content to just sit still, relax and enjoy a more natural side to Luang Prabang. Zen Namkhan should complement a stay in town – an easy escape to tack on to the end of your holiday. It should not be your base for exploring if it’s your first time to Luang Prabang. In that case, stay close to the centre. The resort will include free shuttle from airport/town with a minimum two-night stay and direct booking. It’s a 20-minute bumpy ride. Otherwise, you’ll need to hire a minivan transfer. Catching a tuk tuk is not advisable as the private dirt track leading up to the resort is steep and narrow and when wet, very muddy.